The Nigerian National Petroleum Corporation (NNPC) Monday said that it has no plan to increase the prices of petroleum products both at the ex-depot level and pump price ahead of the forthcoming yuletide. The NNPC in a press release by its Group General Manager, Public Affairs Division, Ndu Ughamadu, said that “the ex-depot petrol price of N133.38 per litre and the pump price of N143/N145 per litre have not changed. 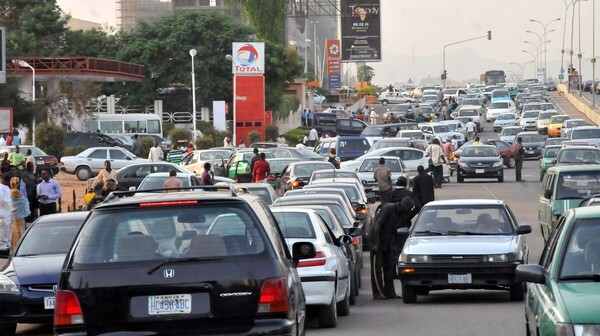 While enjoining motorists and other users of petroleum products to disregard trending rumours of an impending fuel price hike in some online news platforms, the NNPC said it has the full commitment of all downstream stakeholders including petroleum marketers and industry unions to cooperate in achieving zero fuel scarcity this season and beyond.The explanation followed the emergence of petrol scarcity in Abuja. Most of the sales outlets including the Corporation’s affiliate stations were not opened to customers on Sunday. This resulted in long queues around petrol stations in the federal capital territory. The NNPC, however, enjoined motorists not to engage in panic buying or indulge in the dangerous practice of stocking petroleum products in jerry cans at home.